Meet Doctor Stephanie F. Smith, D.M.D. Dr. Stephanie F. Smith joined Philadelphia Dentistry in 2018. A specialist in smile makeovers, restorative dentistry, and cosmetic dentistry, she improves the smiles and lives of the patients of Philadelphia Dentistry with her considerable experience, education, and meticulous work. A well-rounded dental professional, Dr. Stephanie considers continuing dental education essential. Her own post-graduate training is extensive and varied and includes a certification in Invisalign braces. 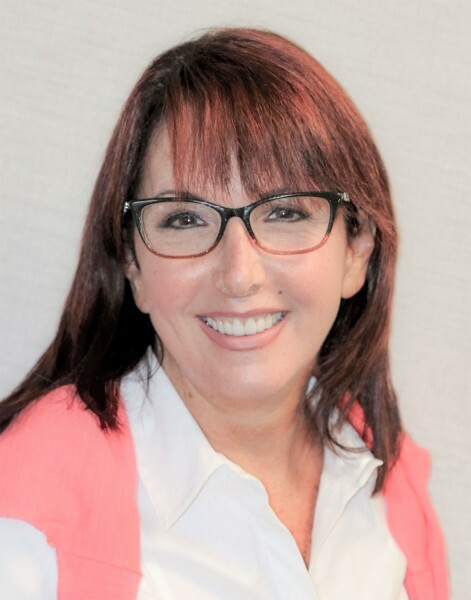 As a clinical instructor for Aesthetic Advantage at New York University College of Dentistry with Dr. Larry Rosenthal, she uses her mastery of dentistry to educate other dentists in the fine art of successful smile makeovers. Dr. Stephanie graduated from dental school in 1987, working in a family dentistry practice before opening her own private dental officein West Chester, PA. For decades, she has offered comprehensive family dental care, from minor fillings to full-mouth rehabilitation. Dr. Stephanie brings this expertise to Philadelphia Dentistry, along with her cosmetic dentistry skill and proficiency. Dr. Stephanie earned her bachelor’s degree from Villanova University and her dental degree from the University of Pennsylvania. She is a member of the American Academy of Facial Esthetics, the Pennsylvania Dental Association, the American Dental Association, and the International Association of Orthodontics. She is a commissioned lieutenant in the United States Navy Reserve.